"If the ICC and other worldwide teams look at this game they will see we are not an add on". 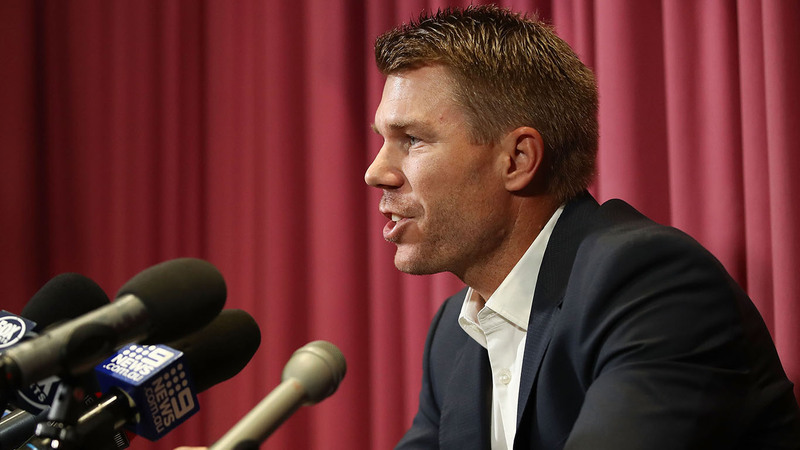 The ball-tampering saga against South Africa saw skipper Steve Smith, vice-captain David Warner and Cameron Bancroft banned and ultimately led to the resignation of coach Darren Lehmann. "They don't have to do it but it's something we want to bring in at the start of a series, not before every game", Paine said on Tuesday. When one hears about a side ranked No. 13 in the ICC ODI Team Rankings beating the No. 1 ranked team, you would dismiss it as an upset but there was nothing upsetting about Scotland's historic six-run win over England at The Grange, Edinburgh on Sunday. "You could say maybe [the squad is weakened] slightly without that 150kph Mitchell Starc coming in, but you have another 150kph in Billy Stanlake. if you take out 100 one-day wickets or whatever Starcy has, it will change things a little bit, but it's a great chance for Billy to show his stuff, bowl 150ks and hopefully rip through them". "The level of expectation has been high around the team for a while, it doesn't get higher than being number one in the world". Morgan, however, accepted they had been well below the standard needed to win in what was their first 50-over match of the British season. "The way we played, we didn't deserve to win it". We might have scraped past them and won, but there were still quite a few mistakes made that we need to rectify and learn from ahead of the Australia series. England have never been in such a strong position a year before a World Cup while Australia, five times winners and current holders, have never been in a worse state. Former Durham and Warwickshire batsman MacLeod said Scotland's first global cricket win over England was a "massive statement". "They are trying to turn around the image of the game in their country, and we´re all for that". Morgan told the BBC: "We play our cricket pretty hard, positively and aggressively, so we'll continue to do that". This should be a catalyst for more games.